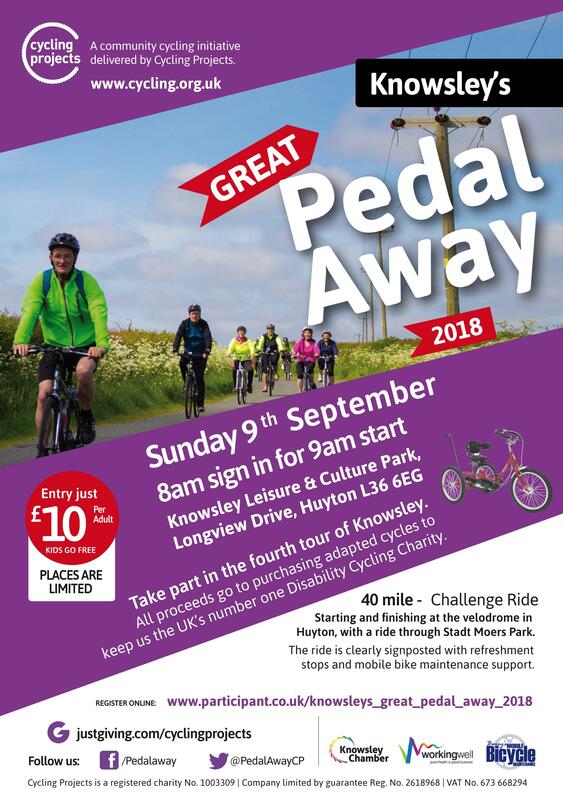 Take part in the fourth annual Knowsley Great Pedal Away 2018! The route is fully signposted with refreshment stops along the way. All finishers will receive a certificate and goody bag. Download a sponsorship form and raise money for Cycling Projects. Any support will help us buy more adapted cycles to help those with a disability or differing need. Provide proof of your registration and get 10% off service costs with Barry&apos;s Mobile Bike Maintenance in advance of the ride (call 07738 114243 for details). Please click here to download and print a sponsorship form. © 2016 Cycling Projects All rights reserved.